After logging more than 20,000 hours of flight time, Sullenberger became internationally renowned on January 15, 2009, when he and his crew safely guided US Airways Flight 1549 to an emergency water landing in New York City’s frigid Hudson River. The Airbus A320’s two engines had lost thrust following a bird strike. Sullenberger and his crew received international acclaim for their actions that day, including the passage of a Congressional resolution recognizing their bravery. Sullenberger was ranked second in TIME's "Top 100 Most Influential Heroes and Icons of 2009” and was awarded the French Legion of Honour. 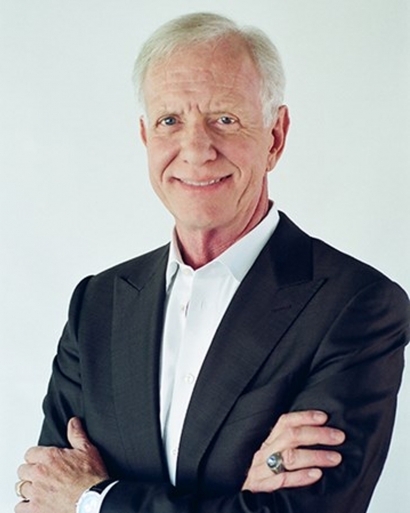 Sullenberger is the New York Times #1 best-selling author of Highest Duty: My Search for What Really Matters and also wrote Making a Difference: Stories of Vision and Courage from America's Leaders. Clint Eastwood directed the major motion picture about Sullenberger’s life, titled Sully, based on Highest Duty. Tom Hanks stars in the lead role; Aaron Eckhart and Laura Linney co-star. The film was released to critical acclaim in September 2016 and garnered four Broadcast Film Critics nominations and one Academy Award nomination. Highest Dutyhas been republished as Sully: My Search for What Really Matters. From 2009 to 2013, Sullenberger served as co-chairman of EAA Young Eagles—a program that inspires and educates youth about aviation. He is an international lecturer and keynote speaker at educational institutions, corporations, and non-profit organizations about the importance of aviation and patient safety, crisis management, life-long preparation, leadership and living a life of integrity. In collaboration with DuPont Sustainable Solutions, Sullenberger developed and was featured in a multi-award-winning video training program, Miracle on the Hudson: Prepare for Safety, which helps employees increase their commitment to safety and transform their organizations’ safety culture. These programs and endeavors are ideally suited to put Sullenberger’s expertise in safety and knowledge of high performance systems’ improvement, to work saving lives, saving money and bringing value to communities. To this end, at the request of Department of Transportation Secretary Anthony Foxx’s request, Sullenberger began serving on the DOT’s Advisory Committee on Automation in Transportation in January 2017. The Committee will advise on transportation automation issues across a range of industries. The Southwestern Michigan Tourist Council is sponsoring this Economic Club of Southwestern Michigan Speakers Series presentation. The Economic Club of Southwestern Michigan Speaker Series is underwritten by Whirlpool Corporation, The Hanson Group, and The Frederick S. Upton Foundation.